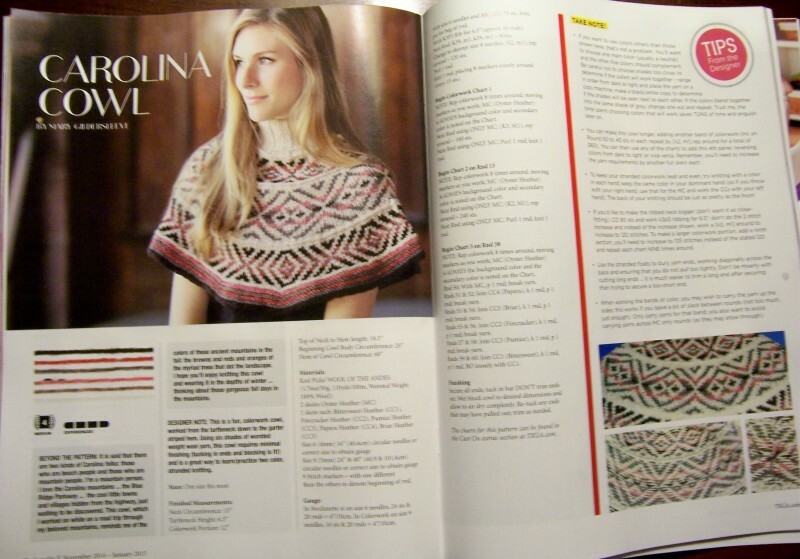 … the latest issue of Cast On magazine, the magazine published by The Knitting Guild of America. And my Carolina Cowl was included in this cowl issue. 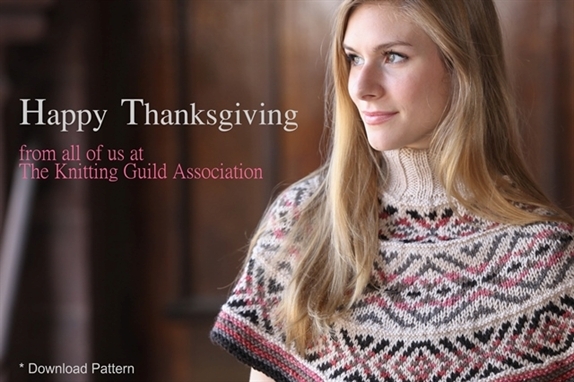 The cool thing is that I rec’d a members’ email on Thanksgiving … and they used my cowl to create their greeting …. Yep, I’m feeling pretty cool …..